Ifeoma Onyefulu is a writer, journalist, photographer and award winning children’s author. The journey, the story and the image they produce all feature in her work. Her children’s books capture the images certainly, but they also capture the imagination. In colour, in the landscape…in the memory. 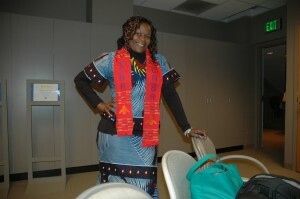 You can send Ifeoma a message from her main web site contact me page. You can send requests for workshops, your reflections on her work or just a response to something you have read on these web pages. There are also links to buy Ifeoma’s work during your visit. UK visitors can buy directly from Amazon.co.uk. Visitors to the U.S. version of the site can buy Ifeoma’s books from Amazon.com in the United States…with just one click. If there are any faults, dead links or content errors on the site do let Ifeoma know – enjoy the journey. Ifeoma’s blog and web site are design and maintained by the Thirdsectorweb Team. All images courtesy of Ifeoma Onyefulu.